Bluecoat Academy, is an Anglican school. This project was commissioned as part off their ‘distinctiveness’ venture. 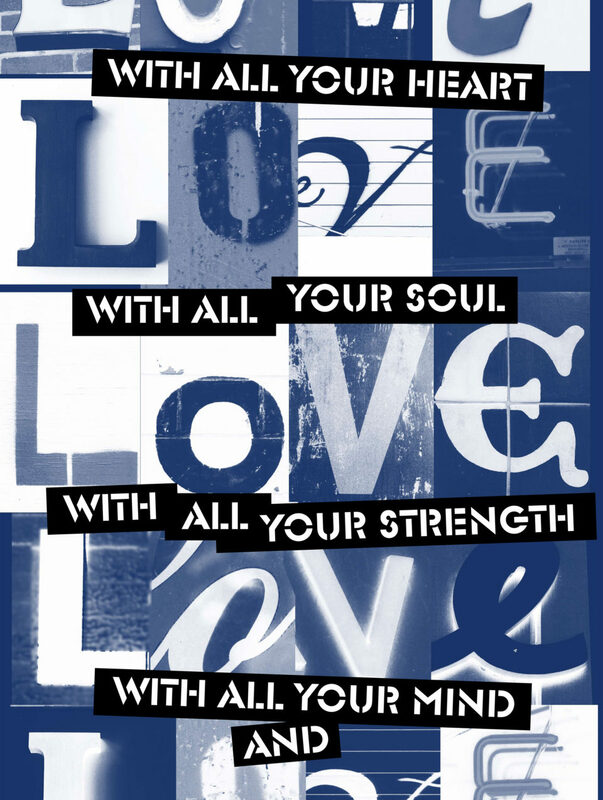 The ‘Love/Love/Love’ artwork was produced with the intention of being used in assemblies and chapel services over the 2 campuses of the school. The artwork is a reflective piece on ‘the greatest commandment’ as discussed in gospel narratives. It uses found type from the city to emphasise the repeated key word which shapes the entire piece: ‘love’.